Charlotte Talks: Is School Safety Taking An Emotional Toll On Students? The "new normal" of school violence requires heightened security, particularly lockdowns and shooter drills. But do they come at the expense of some students' emotional well-being? More officers, more drills, and more hardening of campuses are among the recommendations of a panel that has been studying ways to improve security at North Carolina schools following the mass shooting in Parkland, Florida. While seen as necessary to protect students, it's also believed that heightened measures are taking a toll. That was illustrated during a November lockdown at Charlotte's Governor's Village STEM Academy, where a student hunkered on the floor wrote a farewell letter to his mother. 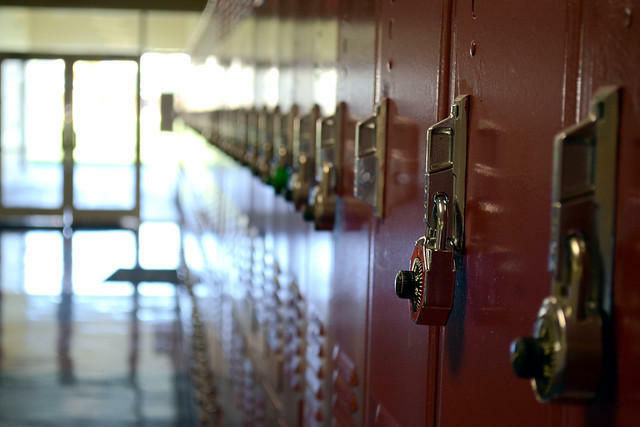 The Washington Post reported in December that more than four million children in the U.S. took part in at least one lockdown last school year, and that lockdowns were causing lasting problems such as depression. An upcoming conference in Charlotte will address how to protect and prepare students, while acknowledging the effect the post-Columbine, post-Parkland world is having on them. "Learning Under Lockdown: Helping Kids Navigate a Post-Columbine World" will take place Friday, April 12 at Friendship Missionary Baptist Church. For more information, click here.